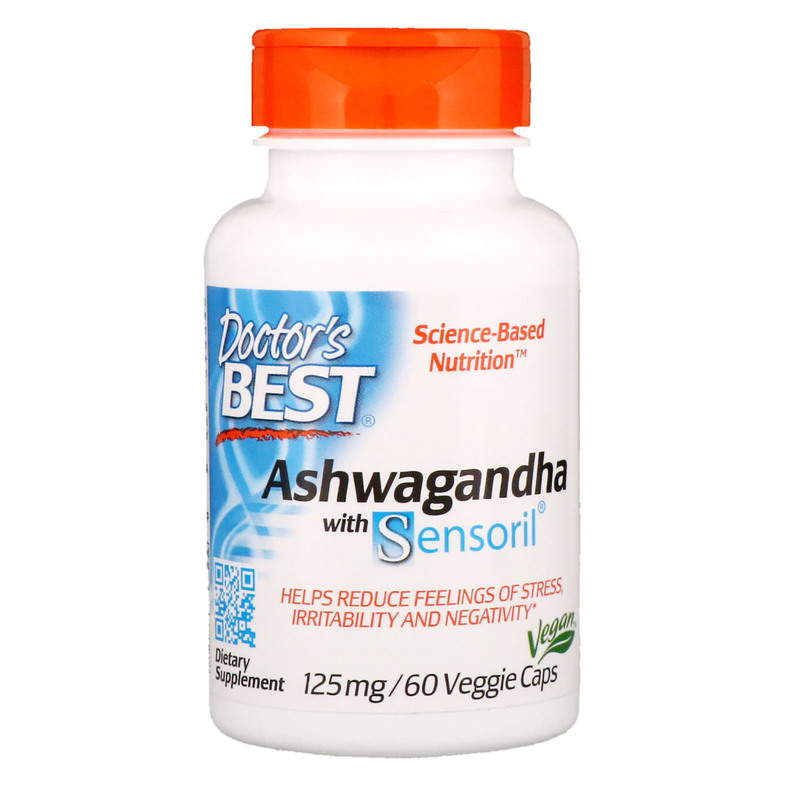 Doctor's Best Ashwaghanda with Sensoril is a scientifically validated preparation of the renowned Ayurvedic superplant Withania somnifera. 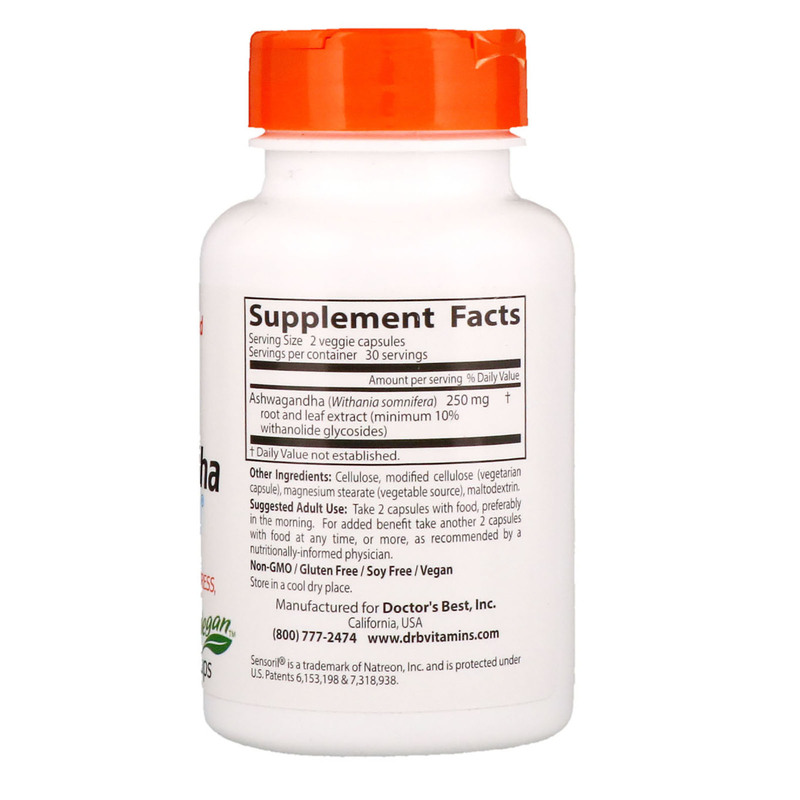 Clinical studies have been shown Ashwaghandha to help support stress management and mental focus. 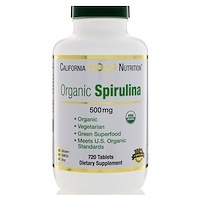 It has also been shown to help support energy and alertness. 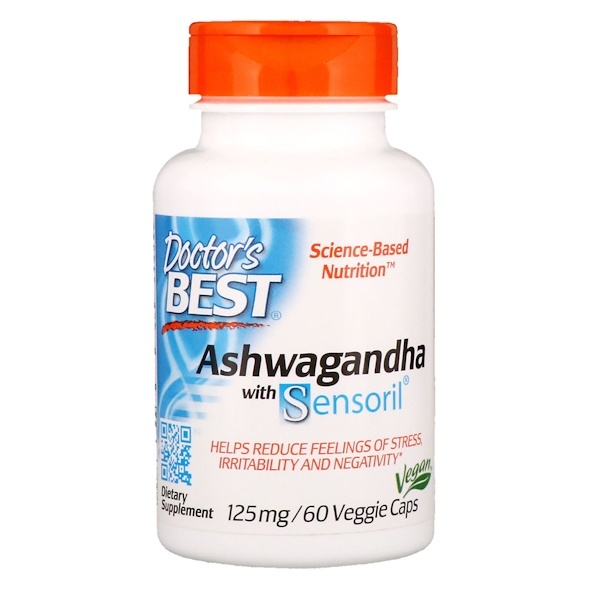 Sensoril is a clinically tested Ashwaghandgha extract, produced without using chemical solvents and containing a superior profile of bioactive withanolide glycosides. Adultos: 2 cápsulas con la comida, preferentemente a la mañana. Para más beneficios, toma 2 cápsulas más con las comidas, según indique tu médico. Celulosa, celulosa modificada (cápsula vegetariana), estearato de magnesio (fuente vegetal), maltodextrina.